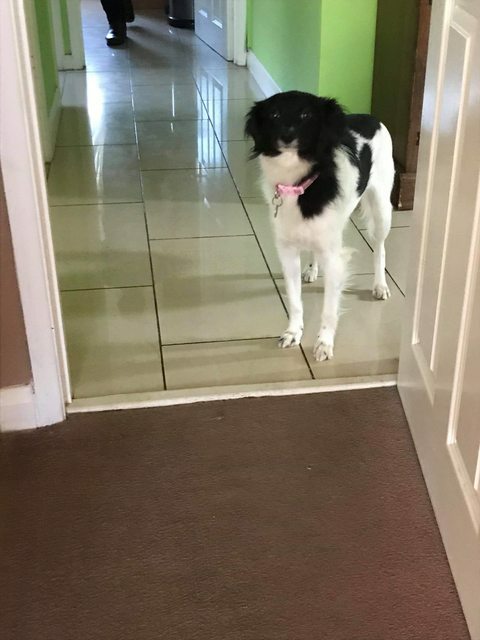 Sabrina is a small 1-2 year old female Cross-Breed possibly a Papillon cross or similar. Sabrina spent her early years in a shelter and had a puppy who is now adopted, because of this she was not around humans much and is not well socialized. She has been in the UK now for approx 6 months, her rehabilitation has been slow and hard for her, she has had to learn to live in a home, be around humans and get used to everyday things such as walking and being touched. Sabrina is a great little dog if you put your time, patience and love into her, but above all she needs time. She has a fab little personality, and she dances and smiles when she is excited. Sabrina is a fostered in Norwich (FR002). 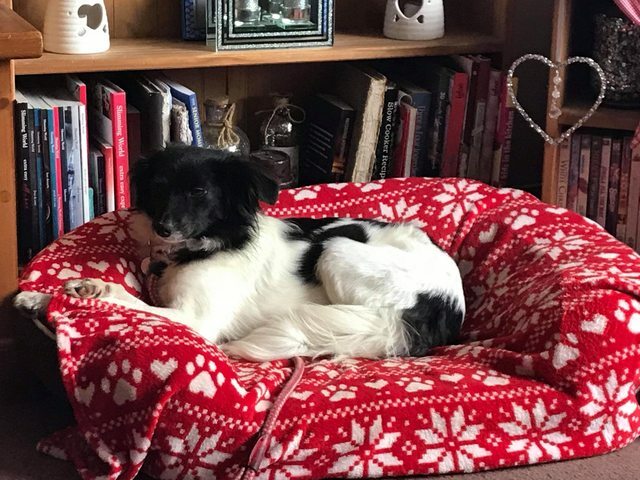 Sabrina loves the company of other dogs and we will be looking for a home for her that has another dog that she can gain and seek reassurance and confidence from. She will need a home with no children under 12 years as she needs time to adjust to her new home and she wont like the noise of youngsters. Sabrina is cat friendly. 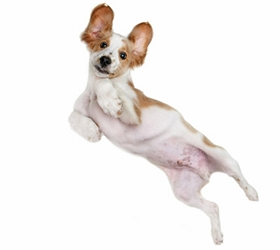 This is not a dog for first time dog owners, her new family will need to have dog experience. Care will need to be taken in her early days in a new home as her fears make her a flight risk until she gets to know you. She is a pleasure to have in the home, as she is toilet trained & hardly ever barks only when she is excited in the mornings. 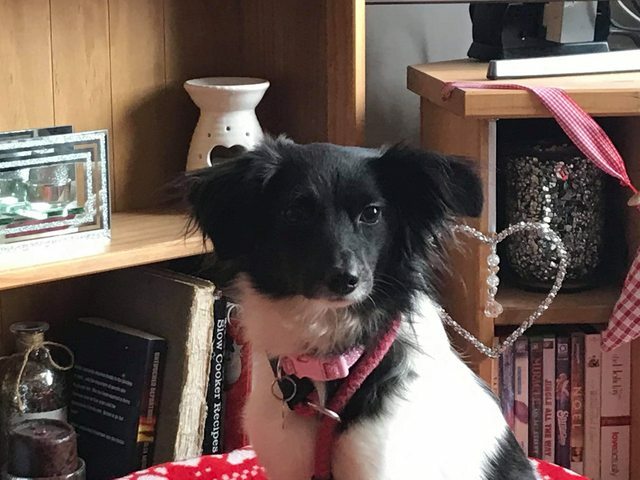 Anyone that is lucky enough to have this little lady in their family will need to invest a lot of love and time into her and in turn she will give a thousand times that, she is still progressing in her foster home and will continue to do so in her new home.